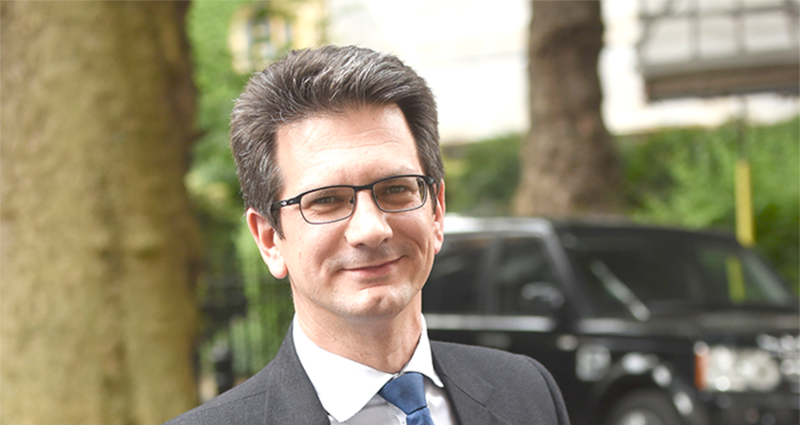 Brexit Minister Steve Baker (pictured) has been forced to apologise for undermining the civil service and failing to challenge unfounded conspiracy theories in the House of Commons. In what FDA General Secretary Dave Penman described as an “extraordinary scene”, Baker told the Commons on 30 January he did not believe the analysis of his own department because he thought civil service forecasts are “always wrong”. His comments came after leaked forecasts produced by the Department for Exiting the European Union (DExEU) suggested that the UK’s economy would be worse off in every scenario after Brexit. Baker suggested that the document was “an attempt to undermine our exit from the European Union”, describing it as “a selective interpretation of a preliminary analysis”. Penman criticised Baker’s comments, claiming that they “not only insult the dedicated professionals working in his department and across the civil service but epitomise the current state of affairs in government”. Just two days later, Baker faced a further backlash after failing to challenge claims by fellow Conservative MP Jacob Rees-Mogg that Treasury officials had “deliberately developed a model to show that all options other than staying in the customs union were bad, and that officials intended to use this to influence policy”. Rees-Mogg’s accusations were based on a conversation that had supposedly taken place between Baker and Charles Grant, director of the Centre for European Reform think tank, and Baker agreed they were “essentially correct”. In a robust defence of civil service impartiality, Penman described Baker’s failure to challenge Rees-Mogg as “the height of irresponsibility from a serving minister” and warned that his “cowardly actions” were “beneath the office he holds” and risked “seriously undermining the Government he is a part of”. After Grant himself came forward to challenge the claims and audio of the conversation was made available, Baker was forced to return to the dispatch box to “correct the record”. Apologising to the House, Baker conceded that he “should have corrected or dismissed” Rees-Mogg’s assertion that Treasury officials were fiddling figures, and stressed that he “has the highest regard for our hardworking civil servants”. Despite Baker’s apology, Rees-Mogg continued to voice his complaints, prompting a sharp rebuke from FDA General Secretary Dave Penman, who appeared on BBC’s Newsnight to urge the MP to “put up or shut up” and produce evidence for his claims. Penman added: “His refusal to apologise to Parliament for repeating an unfounded rumour [...] followed by his reiteration of the claims today, is clear evidence that he’s prepared to sacrifice anyone or anything on the altar of his own ideology. Following the FDA’s interventions, a number of senior ministers spoke up in favour of civil service impartiality, with Home Secretary Amber Rudd saying she had “complete confidence” in the officials.